(with thanks to everyone who contributed!). But then..
...it turned into a post about using up a bunch of unrelated embellishments and bits and pieces, because I thought my subject was going to let me throw everything I could find on to the page. But then..
...it turned into a post about how the idea in your head can turn into something else entirely by the time you have finished cutting. Especially when a complete sheet of little waifs just begged to be found a home. But then..
..it very nearly turned into a post about having to stop in the middle of something and about losing your focus, because you hear a noise that sounds like a stray stamp falling off the desk and into a bag of rubbish; and you know that if you leave it and think you'll go back later to find it, you'll forget. And then..
..it turned back into a post about using up older supplies, when I discovered how much fun it is using stuff you like no matter what age it is. It was hard to stop adding the aforementioned stuff, so that meant it turned into..
...a post about getting the words on the page, even if that means there isn't as much lovely white space as you had been planning, because, after all, what's the page without its point? And after that, I thought I probably had written enough and I had my post and here it is. Have a good week everyone! 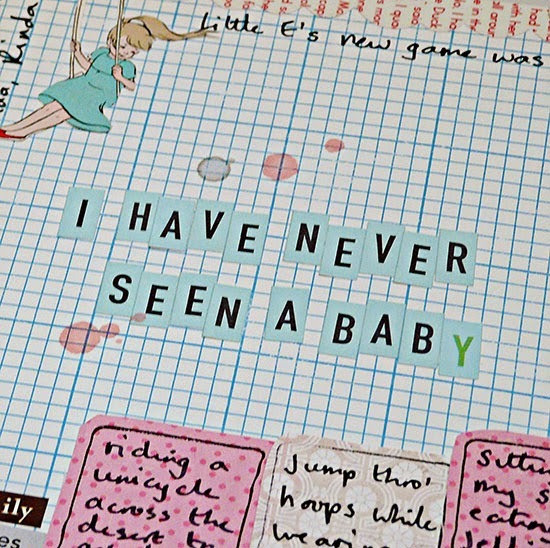 I love the design of all those little speech bubbles across the middle of the page. 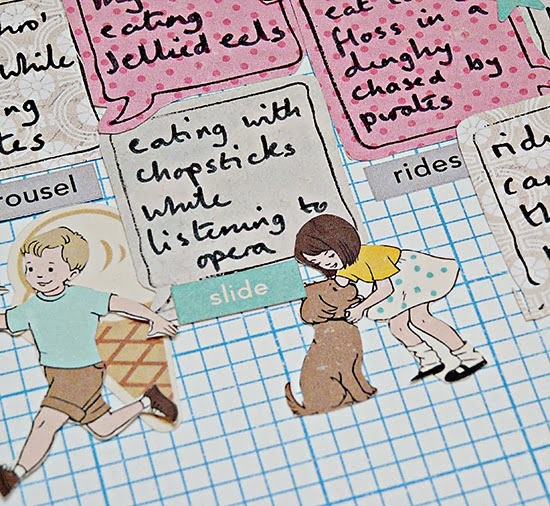 Those speech bubbles marching across the page are fabulous---and perfect for this layout! Loving the band of speech bubbles across the middle of your page. A very original way to document Little E's game. Such a great layout,Sian....I love the slightly vintage feel to it. And if you like it.....nothing is ever too old to use. What lovely waifs and comments. How adorable is this! Such a clever project! Love it! and that, dear Sian, is quite the most delightful page. Captivating. 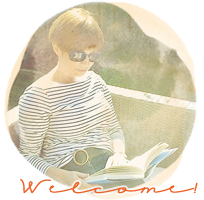 I love that this page holds little snippets of input from blog friends, Sian! So cute and so clever! And I also love the evolution of the pages as well. Well done, my friend. A perfectly delightful page and beautifully constructed post :). I loved reading these again. They make me laugh. What a fun game little E made up and what a beautiful page you have made to document it. Well, it came together well in the end with an even greater story that how it began! Those waifs are perfect, such a lovely whimsical page. A delightful journey to the point of that delightful page. Such prettiness that I just had to pin it! What a fun page and a great idea. I love those vintage children images from OA! I think I might have some myself that I should get on a page. Cute looking page! Love all the little kid stickers! What a clever layout!! This is adorable! I love it!!! 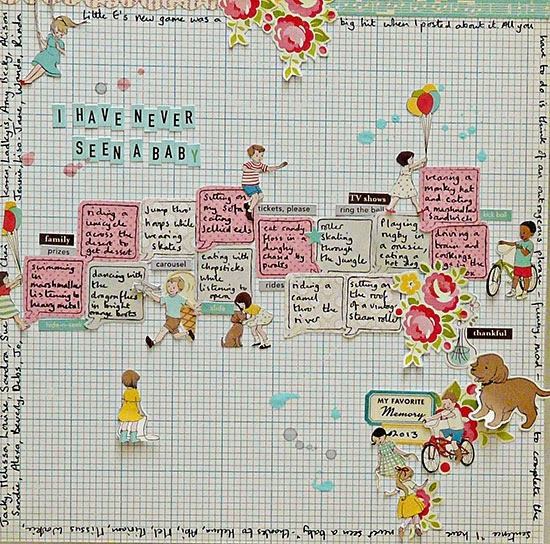 What a brilliant happy page - great for Little E to look back on one day! This is such a creative post Sian and a beautiful LO to go with it. What a wonderful stream-of-consciousness post - felt like I was journeying along with you as you scrapped (& hunted for the lost stamp!). And it is just perfect! What a great layout and I love the story of how it finally came together despite other things distracting you.